See The Stanway In The French Alps! Mr & Mrs Botts are proud owners of an Auto-Sleeper Stanway and recently got back from their skiing trip in Bourg-Saint-Maurice, France. 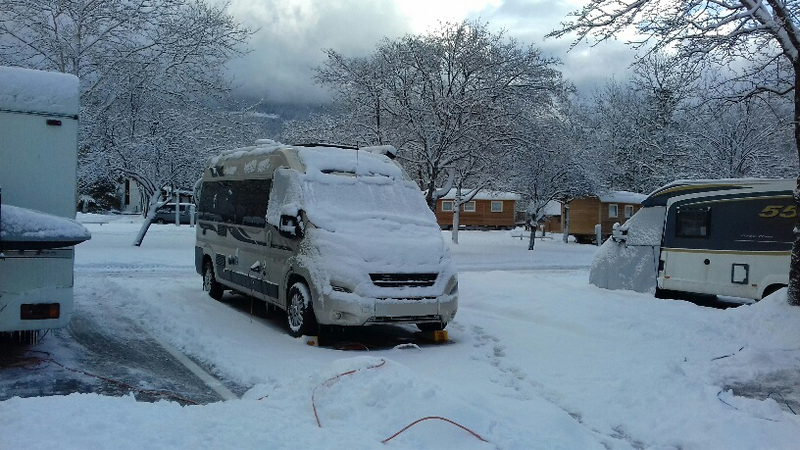 The couple travelled over 850 miles in their Auto-Sleeper to the French Alps and the Peugeot Van Conversion performed exceptionally well the entire journey. As well as remarkable vehicle performance, the van also kept the couple cosy and warm despite sub zero temperatures outside. There is still a large stock of Stanway’s available throughout our dealer network, to find your local dealer CLICK HERE!